This one is different in as much as it will all be in one colour. Once again I’ve chosen a Stylecraft Special DK – this time it’s Peony. The yarn is actually a mix of two colours which gives a rich appearance – not dissimilar to chenille from a distance. However, it is very loosely twisted, and that gave me a problem. I didn’t take my usual hook with me in case I lost it! I took a spare which I hadn’t used before. It was so tedious! The hook itself was bulky and not at all smooth to work with. I went out an bought another – but that too wasn’t as I had hoped. I did manage to progress a little though, towards my aim of one ball during my stay away. I managed it – just! As a point of reference I managed 36 rows of blocks with the first ball. As you can see I’ve marked the row – and I’lll start the next ball tonight. I think progress with this will be slow as I have other plans too ( you heard about those last time) but this is a Christmas present, so I should manage it in time! 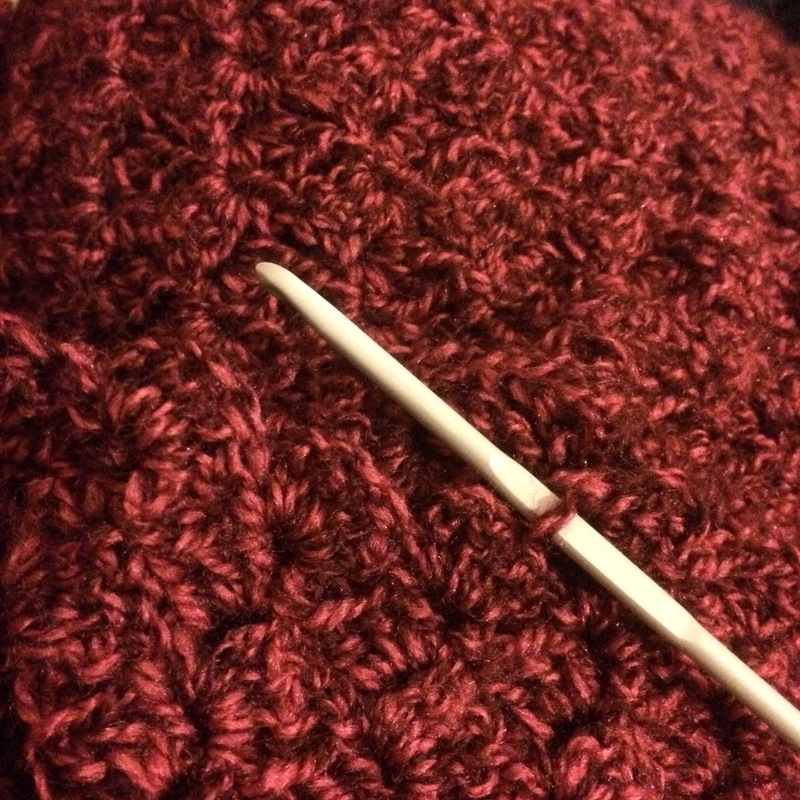 Author nuvofeltPosted on November 3, 2015 Categories Blanket, Colour, crochet, This and That, ThoughtsTags 2015, blanket, c2c, colour, corner to corner, crochet, November, Peony Blanket, Stylecraft, wip, work in progress, yarn1 Comment on The wrong hook!